The Supreme Court judgment, which bars the human rights watchdog from communicating with foreign organizations, appears to weaken its ability to engage with the UN human rights system and is “yet another example of the judiciary undermining human rights protection in the Maldives,” a UN rights chief has said. The apex court on Tuesday declared a rights assessment submitted to the UN by the Human Rights Commission of the Maldives (HRCM) as unlawful, and issued a legally binding 11-point guideline. The guideline requires the HRCM to communicate with foreign bodies through relevant government institutions, and warn against causing damage to the reputation of the Maldives. The High Commissioner for Human Rights Zeid Ra’ad Al Hussein in a statement on Friday said it was “completely unacceptable” for the Supreme Court to impose restrictions on the commission’s engagement with international bodies. “In this case, the Supreme Court appears to be yet again overreaching its mandate by playing a legislative role. Laws regulating the very important human rights monitoring and reporting work of civil society and independent institutions must be transparently adopted by legislative bodies following wide consultations and open debate, in line with international human rights and standards,” he said. The charges relate to an HRCM report to the UN’s Universal Periodic Review, in which the commission said the Supreme Court controlled and influenced the lower courts to the detriment of the Maldivian judiciary. The Maldives underwent a second inspection in May. Nations across the world criticized the Maldives over the politicization of the judiciary and raised concern over the Supreme Court’s prosecution of HRCM. Zeid reminded the government that it had committed to ensuring the HRCM’s independence after the UPR. The foreign ministry had also committed to ensure that the HRCM and other civil society groups would be able to participate in international mechanisms without reprisals. Noting that three new commissioners are to be appointed for August and September, Zeid said: “The appointments must be made through a participatory, transparent and consultative selection process, with the extensive involvement of civil society. President Abdulla Yameen has nominated a former MP of the ruling Progressive Party of the Maldives (PPM), the wife of a current PPM MP and a senior official at the gender ministry for the HRCM. The three are expected to gain parliamentary approval as the ruling coalition enjoys a comfortable majority in the parliament. The International Service for Human Rights (ISHR), a Geneva-based advocacy group, has said the Supreme Court’s ruling is a clear breach of the Maldives’ membership of the UN human rights council. 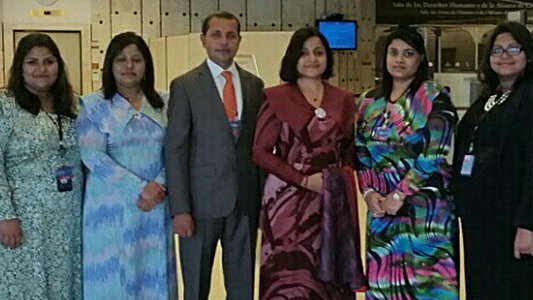 The Maldives was first elected to the council in 2010 and re-elected for a second term in November 2013. “For a member state of the UN Human Rights Council to retaliate against a national human rights institution for providing a report to the council is tantamount to contempt and is plainly incompatible with membership of that body,” ISHR Program Manager, Eleanor Openshaw. The Asian Center for Human Rights has also called for Maldives to be suspended from the council over the imprisonment of ex-president Mohamed Nasheed and other politicians. 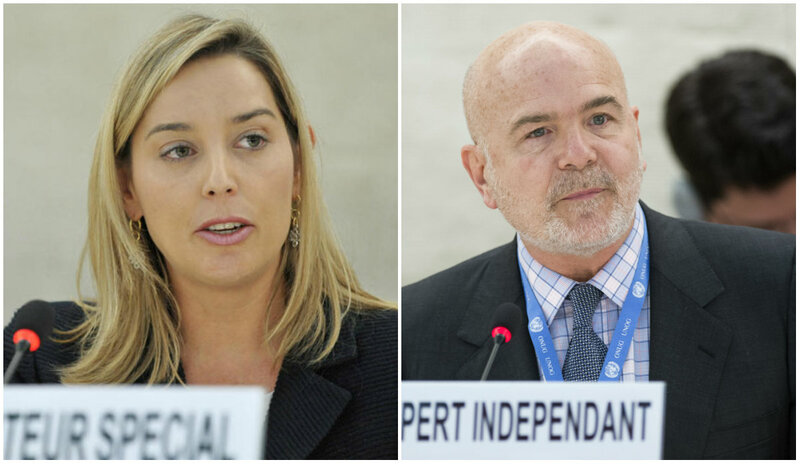 The UN Special Rapporteurs on independence of judges and lawyers, Gabriela Knaul, and on the situation of human rights defenders, Michel Forst have described the Supreme Court verdict “an act of reprisal” and urged the court to reconsider its verdict. In March last year, the Supreme Court had sacked the Elections Commission’s president and vice-president when they criticized a 16-point electoral guideline issued by the court after it annulled the first round of presidential elections in September 2013. In 2012, the Supreme Court ruled that the anti-corruption watchdog was not authorized to suspend government contracts even if they suspected major corruption. The president of the Anti – Corruption Commission at the time said the ruling rendered the ACC powerless to stop corruption. The Supreme Court’s ruling which imposes several restrictions on the Maldives human rights watchdog “is an act of reprisal” and contravenes both the Maldives’ Constitution and its international human rights obligations, two UN rights experts have said. The Supreme Court on Tuesday ruled a report submitted by the Human Rights Commission of the Maldives (HRCM) to the UN in September last year as unlawful. “The Supreme Court’s decision is purely and simply an act of reprisal against the Human Rights Commission for its legitimate cooperation with the UN human rights systems and its mechanisms,” said the UN special rapporteurs on the independence of judges and lawyers, Gabriela Knaul, and on the situation of human rights defenders, Michel Forst. Knaul and Forst have urged the Supreme Court to reconsider its verdict. The Supreme Court had charged the HRCM with treason under controversial suomoto regulations that allow the court to prosecute and pass judgment. The charges related to an HRCM report to the UN’s Universal Periodic Review, in which the commission said the Supreme Court controlled and influenced the lower courts to the detriment of the Maldives judiciary. The UPR is a process that involves a review of the human rights records of all UN member states by other states, in order to improve the situation in all countries and address violations. During a second hearing last year, the HRCM said its observations were based on reports by Knaul, the International Commission of Jurists and advocacy NGO Transparency Maldives. Chief Justice Abdulla Saeed on Tuesday said the HRCM report was biased and undermined judicial independence in the Maldives. The verdict is at attempt to strip the HRCM of its independence and “severely limit its constitutional prerogative to promote, as well as monitor and assess observance of, human rights in the country,” they said. The Supreme Court has contravened the Maldives constitution which enshrines the independence of the Human Rights Commission, they added. Knaul and Forst said the government has not responded to an October 2014 letter they had written regarding the charges. The main opposition Maldivian Democratic Party, civil society groups and lawyers have also condemned the Supreme Court’s ruling and said the court has infringed on the parliament’s mandate by “writing laws” for the HRCM. In March last year, the court had sacked the Elections Commission’s president and vice-president when they criticized a 16-point electoral guideline issued by the court after it annulled the first round of presidential elections in September 2013. The Office of the High Commissioner for Human Rights (OHCHR) has expressed concern over the Supreme Court’s suo moto case against the Human Rights Commission of the Maldives (HRCM). “We are deeply concerned about the case initiated by the Supreme Court of the Maldives against the five members of the Human Rights Commission of the country,” read the press briefing. The OHCHR expressed its concerns in a press release yesterday (October 17) from spokesperson for the UN High Commissioner for Human Rights Ravina Shamdasani. The Supreme Court has charged the HRCM with undermining the constitution and the sovereignty of the Maldives by spreading falsehoods about the judiciary in its submission for the UN Human Rights Council’s Universal Periodic Review. Next year’s review – the Maldives’ second since the introduction of the process – will take place between April and May next year. The OHCHR statement noted that, in making the UPR submission, the commission had operated in line with international principles governing national institutions. “The government has a responsibility to ensure a safe operating space for the commission and for civil society actors in the country, so that they are able to cooperate with UN human rights mechanisms without fear of reprisals,” read the press release. 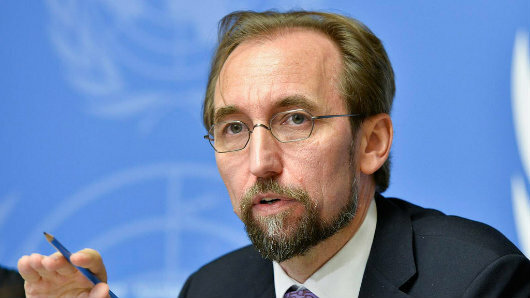 UN High Commissioner for Human Rights Zeid Ra’ad Al Hussein has also written directly to the Maldivian Government to express his concerns over the issue. The Supreme Court came under intense international criticism following its role in the 2013 presidential election, which included the annulment of the first round based on evidence later discredited by UN experts. “Free Speech must be protected, not trampled,” said Baird late last month. The Asia Pacific Forum of National Human Rights Institutions urged President Abdulla Yameen to ensure the independence of the HRCM and to guarantee immunity from prosecution for its members. The Supreme Court slammed commission members for basing criticism of the judiciary on findings from the 2013 report by UN Special Rapporteur Gabriela Knaul that it had previously rejected. Former Judicial Service Comission member Aishath Velezinee was denied entry into the hearing after being issued a pass at the reception, with a court official telling her that she could not be let into the court room for security reasons. In similar suo moto action in March, senior members of the Elections Commission were dismissed after being prosecuted for charged with contempt of court and disobedience to order. Suo moto cases – unheard of in the Maldives before this year – involve the court taking the initiative to bring charges which are then overseen by its own judges. While the President’s Office has also criticised the HRCM’s submission, suggesting that sections on the death penalty are misleading, the Maldivian Democratic Party has accused the court of undermining the commission’s mandate. The Asia Pacific Forum of National Human Rights Institutions (APF) has urged President Abdulla Yameen to ensure the independence of the Human Rights Commission of Maldives and guarantee immunity from prosecution for its members. 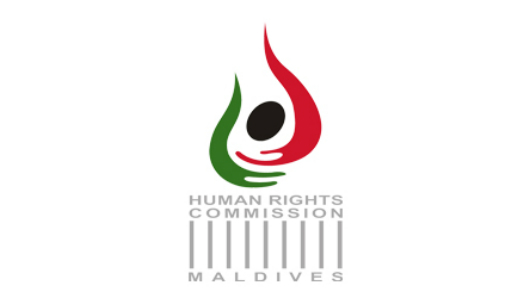 All five members of the HRCM are currently on trial at the Supreme Court, which has initiated suo moto proceedings against the commission on charges of undermining the constitution by allegedly including false information in its Universal Periodic Review (UPR) submission to the UN Human Rights Council. “In expressing its considered opinion to the UPR, the HRCM is fulfilling its official and legal mandate,” reads a letter from APF Chairperson Dr Ali Ben Smaihk Al-Marri sent to President Yameen on September 24. The APF is a member organisation of national human rights bodies of the Asia Pacific region with a membership of 22 institutions. In its letter, APF noted that the HRCM was “a highly valued and respected member” of the organisation and expressed “gravest concern” over the Supreme Court’s actions. The ongoing trial was “a concerning threat to the independence of the commission,” the organisation said. The APF referred to Article 27(a) of the HRCM Act, which grants members immunity from prosecution for “committing or omitting an act in good faith”. Moreover, Article 27(b) states that the commission could only be sued regarding published reports following an inquiry which establishes the falsehood of a component of the report. “In addition, the UN international standards relating to NHRIs, the ‘Paris Principles’ set out, that in terms of a NHRIs independence, competence and responsibilities a NHRI is able to ‘contribute to the reports which States are required to submit to United Nations bodies and committees, and to regional institutions, pursuant to their treaty obligations and, where necessary, to express an opinion on the subject, with due respect for their independence,'” the APF letter stated. At last week’s second hearing of the suo moto trial, Chief Justice Ahmed Faiz Hussain slammed the commission for basing its observation – that the Supreme Court controlled and influenced the judiciary to the detriment of lower courts – on a 2013 report by the UN Special Rapporteur for Independence of Judges and Lawyers Gabriela Knaul. Faiz said the judiciary had rejected Knaul’s report as invalid. In June 2013, the government accused Knaul of undermining the Maldives’ sovereignty and jurisdiction. On Tuesday (September 30), the European Union (EU) delegation in Colombo and EU member states expressed concern with the Supreme Court trial undermining the HRCM’s independence. The Maldivian judiciary is not functioning as envisioned in the revised constitution adopted in August 2008 and should be reformed, former Justice Minister and former Speaker Ahmed ‘Seena’ Zahir has said in a scathing critique of the justice system. “If we don’t want an executive dictatorship from a dictatorship, we don’t want a judicial dictatorship either,” the former speaker of parliament reportedly said at a ceremony held on Monday night (September 29) to inaugurate an association of former students of the private Malé English School (MES). Zahir’s criticism follows the Supreme Court initiating suo moto proceedings against members of the Human Rights Commission of Maldives over its Universal Periodic Review (UPR) submission to the UN Human Rights Council. The Special Majlis constitutional assembly convened to amend the constitution – of which he was a member – did not envision the judiciary “meddling” in executive affairs, Zahir said. Judges were offered tenure, job security and high pay, he noted. He added that the judiciary was misinterpreting constitutional provisions while the mandate of judges was limited to conducting trials. “That should be brought to an end. It won’t come to a halt by jailing those who talk about this. Someone has to raise their voices on behalf of the people,” he said. Zahir called on the public to exercise the constitutional right to freedom of expression and raise their voices for judicial reform. The MES senior student association could take up the call as it should be done in an academic and unbiased manner without politicisation, he advised. Zahir – who served as justice minister in the cabinet of former President Maumoon Abdul Gayoom and participated in the ruling Progressive Party of Maldives’ (PPM) presidential campaign last year – suggested that political parties were unwilling to speak out for judicial reform. He also noted that the judiciary would have to arbitrate and settle commercial disputes under foreign investment laws. Such laws, however, would not serve its purpose of attracting foreign investment if the judiciary remained unreformed, Zahir contended. Zahir advised a bipartisan effort to amend the constitution, noting that the ruling PPM and coalition partner Maldives Development Alliance had a comfortable majority in the People’s Majlis. “And their supporters also support amending the constitution,” he said, adding that the opposition Maldivian Democratic Party (MDP) would also back such an effort as it has been advocating for judicial reform. However, Zahir said he did not see efforts to reform the judiciary through parliament. The purpose of amending the constitution should not be “removing A from the post and appointing B,” he added. Less than two weeks before the parliamentary polls in March, the Supreme Court charged Elections Commission Chair Fuwad Thowfeek and Deputy Chair Ahmed Fayaz with contempt of court and dismissed the pair under unprecedented suo moto proceedings. Subsequent changes to contempt of court regulations made in June authorised courts to penalise individuals for any expression, action, gesture, or piece of writing “inside or outside a courtroom” that could be considered contempt of court. At yesterday’s trial against the HRCM members, Chief Justice Ahmed Faiz Hussain slammed the commission for basing its observation – that the Supreme Court controlled and influenced the judiciary to the detriment of lower courts – on a 2013 report by the UN Special Rapporteur for Independence of Judges and Lawyers Gabriela Knaul. “The state has admitted that this body’s independence is seriously compromised. The Committee has said the judiciary is desperately in need of more serious training, and higher standards of qualification,” a statement read. The Human Rights Commission of Maldives (HRCM) shared its Universal Period Review (UPR) report with the Department of Judicial Administration (DJA) and sought feedback ahead of submission to the UN Human Rights Council, the commission’s lawyer told the Supreme Court today. The DJA – which functions under the direct supervision of the Supreme Court – did not respond to the request for commentary on the report or object to its content, the lawyer noted at the first hearing of the trial. All five HRCM members are on trial after the apex court initiated suo moto proceedings in relation to the UPR report, which suggested that the Supreme Court’s control over the judiciary was undermining powers of lower courts. At the beginning of the hearing, Chief Justice Ahmed Faiz Hussain reportedly said that the HRCM’s report contained false and misleading information concerning procedural matters of the judiciary. The suo moto proceedings – which allows the court to act as both prosecution and judge – were initiated to hold the commission’s members accountable under Article 141 of the Constitution, Article 9 of the Judicature Act, and Supreme Court regulations, the chief justice said. The commission’s attorney Maumoon Hameed explained that each UN member state was required to submit a report for the UPR. The UPR is a state-driven process that reviews the human rights records of all 193 UN member states every four years, based on submissions by the government, the UN, NGOs and human rights commissions. The Maldives’ review is scheduled to take place in April or May 2015. In a press release today, the HRCM said it submitted as evidence information regarding the UPR process as well as commentary received from various state institutions. “At today’s hearing, the commission requested an opportunity to submit further information and evidence,” the press release stated. The next hearing has since been scheduled for 1:30pm on Sunday, September 28. Noting that Supreme Court decisions could not be challenged as it was the highest court of appeal, Hameed had, however, asked for five working days to prepare a defence. Less than two weeks before the parliamentary polls in March, the Supreme Court had charged Elections Commission Chair Fuwad Thowfeek and Deputy Chair Ahmed Fayaz with contempt of court and dismissed the pair under unprecedented suo moto proceedings. Meanwhile, in a press statement yesterday, the opposition Maldivian Democratic Party noted that under Article 27 of the HRCM Act a case could only be filed against the commission regarding published reports following an inquiry which proves components of the report to have been false. In its UPR report, the HRCM stated that the Supreme Court’s control of the judiciary was weakening judicial powers vested in lower courts. “Supreme Court issued a circular ordering all state institutions not to communicate to individual courts regarding any information relating to the judiciary except through the Supreme Court. HRCM is facing difficulties in gathering information related to judiciary due to lack of cooperation,” the report stated. Through a raft of regulations enacted in recent months, the Supreme Court has sought to consolidate control over administrative affairs of the judiciary. The Maldives representative to the UNHRC subsequently accused the special rapporteur of undermining the sovereignty of the country. Criticism of the Supreme Court’s role in the electoral process by United Nations High Commissioner for Human Rights Navi Pillay last October was meanwhile described as “ill-informed” and “irresponsible” by former President Dr Mohamed Waheed.